Will’s aim is for you to have the best possible experience aboard Willfish. 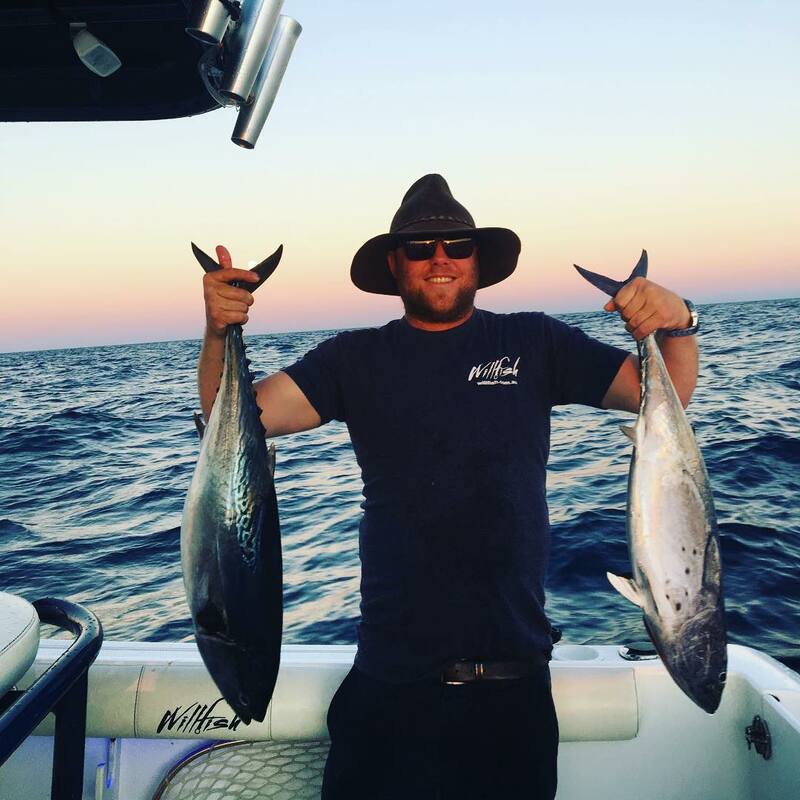 With a real passion to share his knowledge and expertise gained from many years fishing and boating along the coastal and inland waterways of Eastern Australia, he’s more than equipped for the job. Those travels have taken him from the tip of Cape York and its west coast, catching Barramundi and Mangrove Jack, Snapper and Tuna, to the Snowy Mountains fishing for Rainbow and Brown Trout, whilst also fishing most of the waters in between. Will’s knowledge of boats dates back to his very young Sailing School days with the Royal Queensland Yacht Squadron. As an accredited Coxswain, your safety and comfort is paramount and he is keen to pass on his tips and techniques to help you get the most from your time on the water. Will caters for all different levels of fishing experience, from beginners to the real enthusiasts. From youngsters to the elderly. Families are very welcome as are groups of mates out for a days fishing and tall tale telling. Fishing in the Whitsundays is possible all year round where you will encounter fish such as Coral Trout, Wrasse, Emperor, Queenfish, Nannygai, Mackeral and Tuna species and many others. The Islands’ light game fishing is exceptional and trolling with lures and live bait for marlin, mahi mahi and sailfish to name a few is a great sport. At Willfish we do our very best to ensure that our customers are happy with our service and have a great time out on the water. If you have any questions, issues or feedback we would like to hear from you so that we can make our charter company the best it can be. You’ll wish you fished with Willfish!